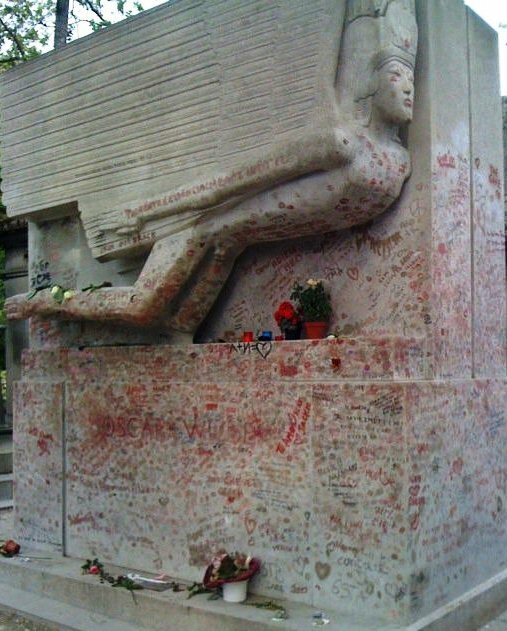 Oscar Wilde was buried in Pere Lachaise Cemetery in 1909. He’d originally been buried in Cimetière de Bagneux in 1900 but was disinterred and reburied nine years later. 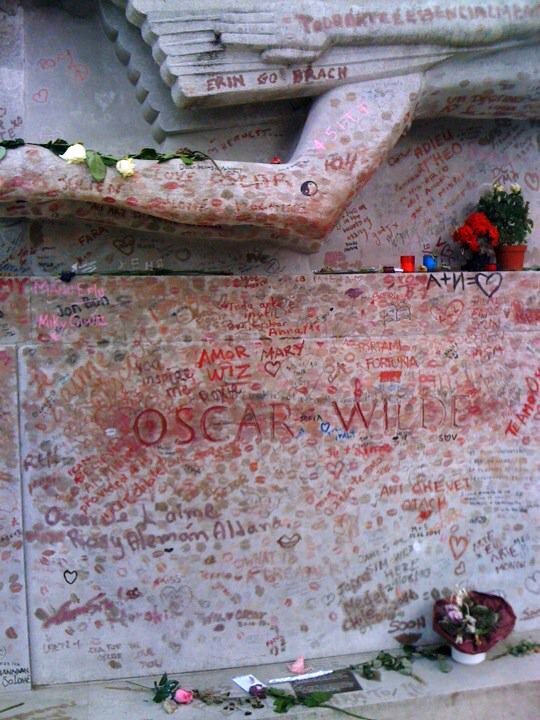 His tomb was designed by Sir Robert Epstein and is a fitting tribute to the daring and flamboyant writer. Someone started the ‘kissing’ tributes in the 1990s. Soon they were joined by hearts and messages in lipstick, but repeated cleaning was wearing the stone away. They cleaned the tomb not long after I took this and it’s now protected with a glass shield. Which has been duly covered with more lipstick marks and tributes but without the damage to the stonework.